Would the risk of medical malpractice increase if New York retailers were allowed to operate in-store clinics or would it just help cutting back on unnecessary visits to the emergency room? According to Cuomo administration Medicaid could save $10 million every year if corporate outfits such as Wallmart and CVS could run medical clinics in their stores. This is the proposal made to New Yorkers by governor Cuomo last week when he unveiled his budget. While Governor Cuomo believes that in-store medical clinics would improve access to affordable care, opponents are worried that corporate may be more concerned by profits than by patients well being. They also argue that if a pharmacy runs a clinic they may want to try to increase the pharmacy business through the clinic. Additionally patients visiting these types of clinics will mostly be treated by nurse practitioners or physicians’ assistants rather than by physicians. 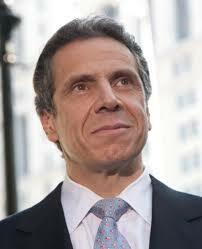 However Cuomo’s proposal indicates that clinics would only be allowed to treat minor injuries and illnesses. So far in New York State corporate medical practices are prohibited however retailers have been circumventing the current prohibition by renting space to independent practices or doctors. In other states, these types of clinics already exist. Wallmart has several clinics in the South and CVS as more than 1000 clinics in its stores nationwide.